Short-term rentals continue to be much in demand as the preferred arrangement for accommodation in Dubai. Due to the high volume of transactions, substantial measures have been implemented to regulate the landlord-tenant relationship. However, a large number of disputes still arise, and here were examine three common disputes. One must keep in mind that disputes will not be entertained by the rental dispute settlement centre (RDSC) in Dubai without evidence of valid registration on the Ejari system. A common point of contention is when a landlord wishes to increase the rent upon renewal. It is a misconception that a landlord may increase the rent so long as it has provided notice in advance of renewal. In reality, Article 14 of Dubai Law No. 26 of 2007, as amended by Dubai Law No. 33 of 2008 (Tenancy Law) provides that if either party wishes to amend a term of the tenancy contract, it must notify the other party not less than 90 days prior to the expiry date, unless otherwise agreed. Therefore, a tenant should check upon receiving any such notice from the landlord, whether the time frame stipulated in the Tenancy Law, or the tenancy contract if agreed otherwise, has been complied with. A tenant should also check whether the proposed increase has been calculated in accordance with the Real Estate Regulatory Agency’s rental increase calculator. The online calculator determines the permitted rent increase. If one or both of the above requirements have not been complied with, the tenant may contest the landlord’s notice and, if the parties do not reach an agreement, the tenant may submit a complaint to the RDSC. Equally, if a tenant wishes to negotiate a decrease in the annual rent, it should also ensure that it notifies the landlord within the time frame stipulated in the Tenancy Law or as agreed by the parties. Another common dispute is the allocation of responsibility in respect of repair and maintenance of the property. While Article 16 of the Tenancy Law provides that maintenance and repairs are the responsibility of the landlord, it is important to remember that the parties may agree otherwise. It is typical for the landlord to be responsible for major/structural repairs and for the tenant to be responsible for minor repairs. To provide greater certainty, it is common for the parties to agree a threshold figure for the cost of maintenance or repairs, e.g. Dh500-Dh1,000, below which it would be the responsibility of the tenant. Accordingly, a tenant should review the tenancy contract to ensure the allocation of responsibility is stated clearly. A tenant should also obtain personal belonging insurance and check that the landlord is obliged to arrange appropriate insurance coverage in relation to the property and third-party liability. Disputes can arise not just during the tenancy but also at expiry. A tenant may vacate and return the property to the landlord, expecting a full refund of the security deposit, only to find that the landlord has deducted an amount to cover the cost of reinstating the property to its original condition. It should be noted that Article 21 of the Tenancy Law provides that the tenant must return the property to the landlord in its original condition, with the exception of fair wear and tear. However, it is not unusual for the parties to agree, for example, that the tenant will be responsible for filling in any holes or repainting the interior walls of the property. Therefore, a tenant should confirm that the tenancy contract allows for fair wear and tear and also carefully check its reinstatement obligations, to avoid any deductions from the security deposit. If a tenant wishes to contest a deduction, or if the landlord fails to return the security deposit, a tenant may submit a complaint to the RDSC. 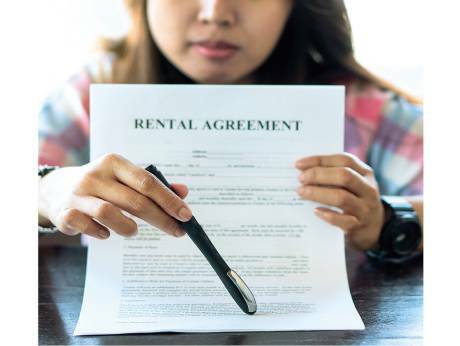 While short-term rental is a regulated sector, areas of contention remain. Tenants should carefully review and negotiate their tenancy contracts and seek legal advice where necessary to avoid disputes.